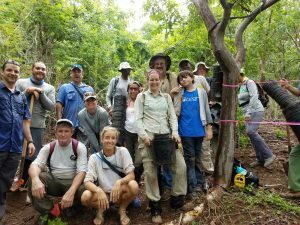 The Geographic Consulting Tree Team had a great weekend with National Parks Service and dozens of volunteers on Buck Island. 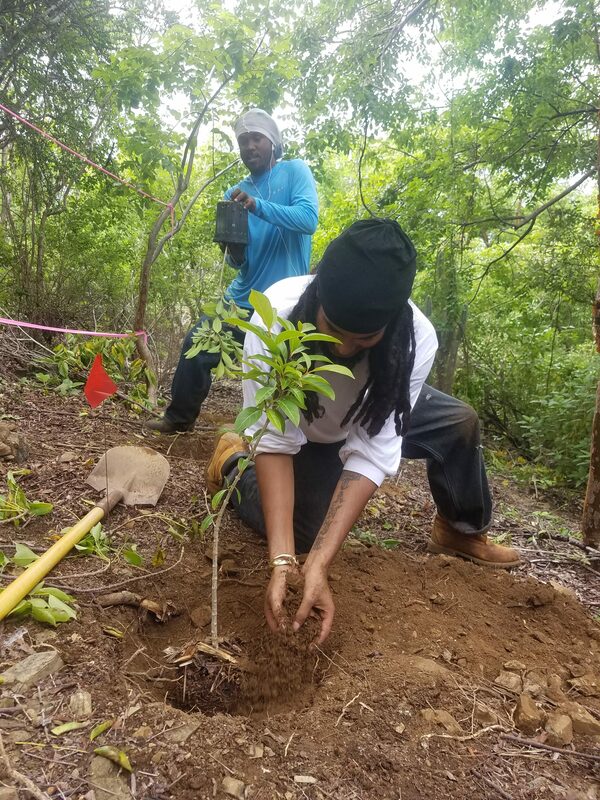 You can click here to read the Public Service Announcement from NPS explains some of the motivation and methods for the project. 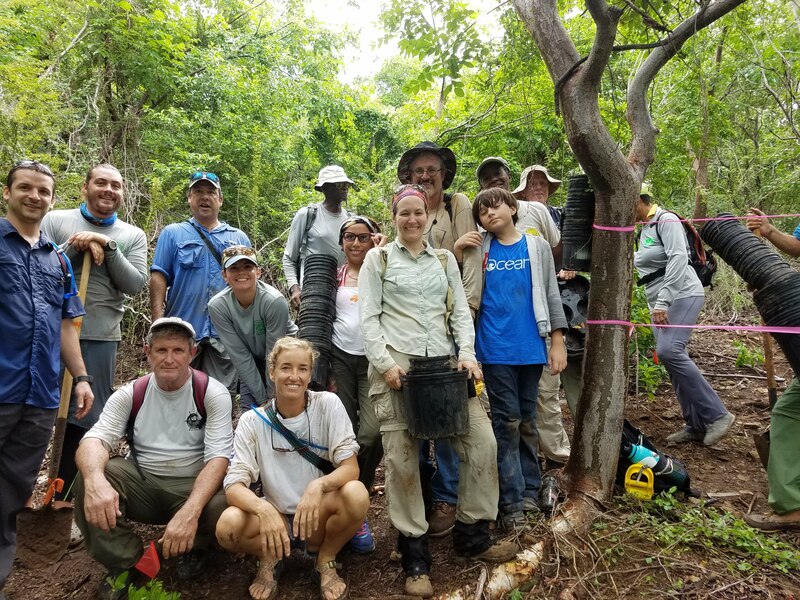 To summarize, goats and rats degraded the forest over several decades, eating healthy plants and their seeds and leaving behind the poisonous and thorny species. The end result was a fairly low quality and hostile habitat. We grew the native trees in our nursery to replace the species that were eliminated. We installed them with the help of dozens of volunteers. Our team brought the plants to the site days in advance. 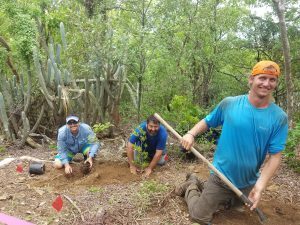 We staged the plants, dug holes and prepared rain water catchments in anticipation of the volunteers. We delivered four boatloads of trees for this phase of the project and hiked them up the trail we cut above West Beach. 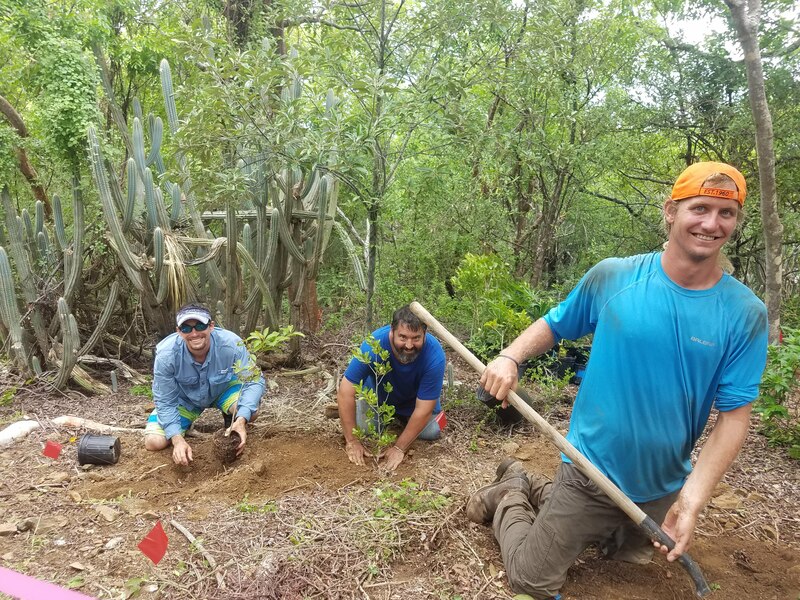 The guys at Geographic Consulting planted a few dozen trees on Friday to make sure everything was in place and as a “How To” demonstration for all the project partners. 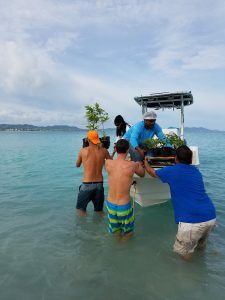 Forest restoration on Buck Island is underway! We spent Saturday with a bunch of cool kids from Ricardo Richards School. 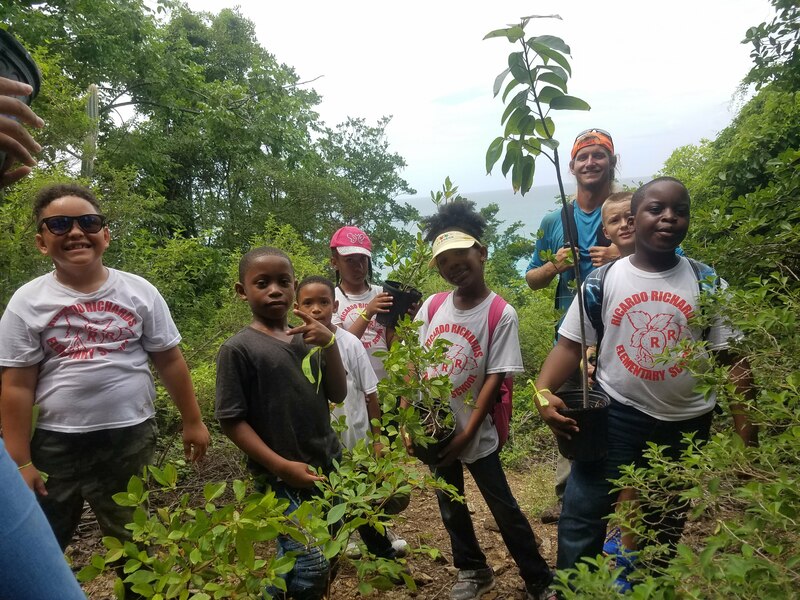 They climbed the hill, planted trees in the rain, named their trees and were really fun to be with. On Sunday, the St Croix Hiking Association and several others planted TONS of native trees with us. By the end of the day, Autograph tree (Clusea rosea), black olive (Bucida buceras), Tyre palm (cocothrinax alta), Spanish stopper (Eugenia foetida) and bird cherry (Eugenia monticola) were all planted on Buck Island, after being absent for decades.